At our next supper club, a taste of Lyon comes to The Assembly House, with some classic French bistro cookery from the greatest food culture in the world. Click here to view menu and book. We’re absolutely delighted to bring to you the 2019 Richard Hughes Cookery School programme which boasts a bountiful supply of brand new classes and delicious content which we plan to serve up to students in our stunning bespoke kitchen in the heart of Norwich. Our award-winning cookery school is based in a purpose-built kitchen - fitted by Kestrel Kitchens – which offers our students more room, more equipment and more chances to learn a whole new range of cooking techniques. 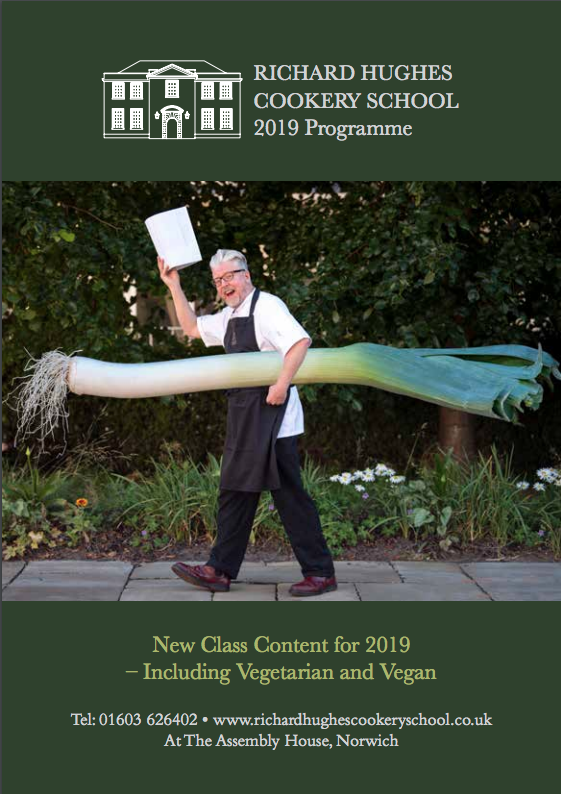 This year we’ve got lots of new options on our cookery school menu, from cooking with Richard himself to meeting famous local suppliers and hearing their stories, to making lunch alongside Richard Bainbridge of Benedicts Restaurant or a sweet lesson from the UK’s Chocolate Ambassador, Gary Hunter. We’ve got gluten-free cookery classes with expert tutor Steve Thorpe, sensational desserts from Jaime Garbutt of Figbar, and brand new plant-based cookery classes designed for vegans who love variety. Whatever your age, skill-set or appetite, we’ll have a class that will tickle your taste buds and make you yearn to learn more about food and its preparation. Hughes Cooking in the kitchen? You are! *We are delighted to announce that Norfolk Passport holders save 10% on all classes at the Richard Hughes Cookery School. Another great reason to book a class! * Sign up is free and instant at www.norfolkpassport.com. Why not stay in one of the luxury bedrooms here at The Assembly House the night before or evening after your cookery class? Visit the website https://www.assemblyhousenorwi... for more information.